The Royal Wedding's Chaotic Conclusion! Good King Alteon has been fighting Chaorruption since AQWorlds began, and THIS week, you will see how much of an effect Chaos has had on him! 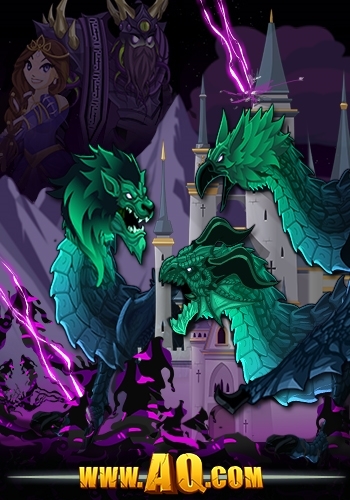 Log in now to play the conclusion of the Royal Wedding event, the rise of Swordhaven's Chaos Beast... and the beginning of the most Chaotic chapter in AQWorlds' history! 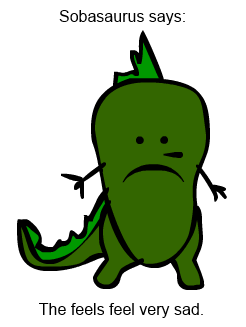 Sad Ghost felt ALL the feels! Make sure to tweet your reactions to the storyline to @ArtixKrieger and @Alina_AE so we can keep track of how many feels you have felt! 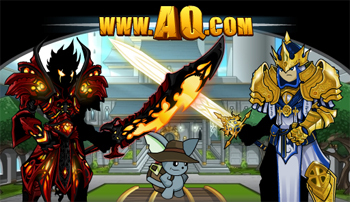 You can also share your reactions on the AQW Facebook page or our forum! The new loading screen is live, too! Enjoy the beginning of the REAL Chaos in Swordhaven... and the rest of Lore! Unlock Blood ShadowCaster with a 3 Month Membership! Become a Blood ShadowCaster to command the darkest of the magical arts: Blood magic! Will you sacrifice the blood of your friends and enemies to become more powerful? Will you do what must be done to ensure that you CAN control your own destiny? Starting today, October 4th, at 12 PM server time (Noon), upgrade with a 3 month membership package to unlock the Blood ShadowCaster set! 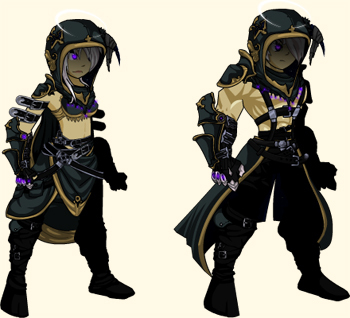 Much the same way we did versions of the Lightcaster for ACs and membership, we've done the same for the Shadow Sorcerer / ShadowCaster, but with a different color palette for the separate sets. 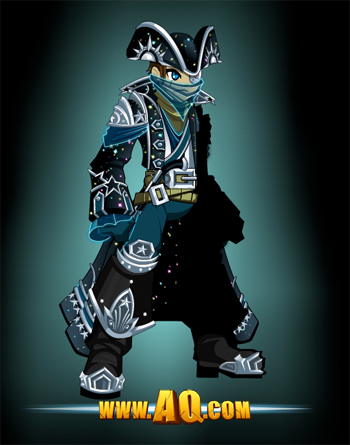 Find details on the Shadow Sorcerer 5k AC package here! Through your game menu, using the in-game payment system. Click on the Treasure Chest at the bottom of your screen to bring the menu up! Using the payment page at AQ.com! On our Portal Site, under the AQWorlds game packages section. Get ALL the gear: ! 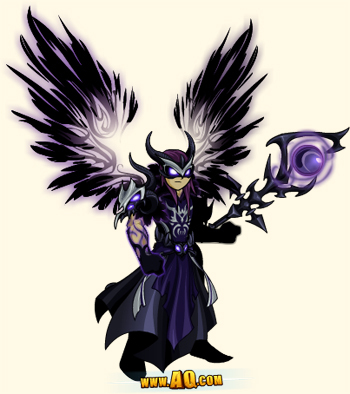 armor, 5 wings, 5 helms, and 2 staffs when you purchase the 3 month membership. Each item is 0 ACs for free storage and the package come with a character page badge! So much fun all week long! Dear hero, it’s Monday again! And that means it’s time for another Monday Write Up. 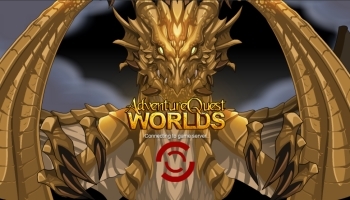 Allow me to highlight all the fun happening this week in the world’s favorite online adventure game, AdventureQuest Worlds! 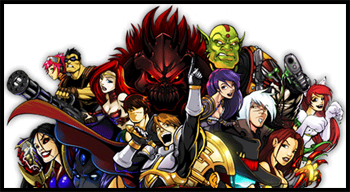 For the past few months, we have seen the amazing artistic abilities of AQWorlds’ artists in the Featured Artist Showcase Shop. 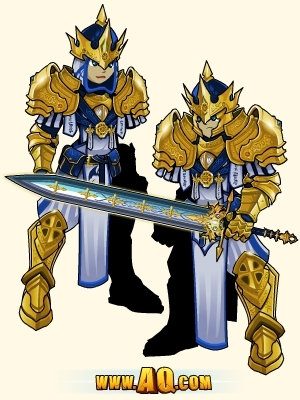 Last week we were blessed with Ven du Viioletmist’s special items, including the Rare Knight of the Leviasea Armor set. Come tomorrow afternoon, Ven’s shop will disappear to make room for our newest volunteer artist, Roroth! This Drow artist will showcase elite armors, helms, weapons, and more from his personal stash of Drow-exclusive items. 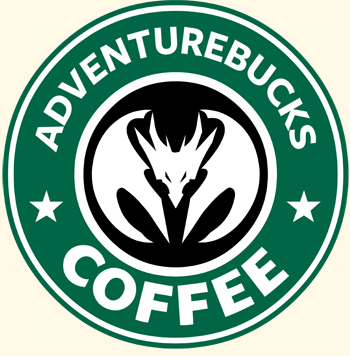 I have the pleasure of meeting with Roroth later on this evening at the local AdventureBucks Coffee shop. Since not much is known about Roroth, I thought I could get him to tell me all his Drow secrets in exchange for a Venti Trobblechino! Mmmmm! Running low on AdventureCoins? They say that 2 things are better than 1… so how epic are 12 things in 1 sweet deal?! Meet the Shadow Sorcerer. This devotee of the dark—along with 12 in-game items—can be yours starting Friday with our new 5,000 AdventureCoins package! WOW. Nowhere else can you find a deal that AWESOME. And coming from the fashion guru who is all about finding the best deals, the 5,000 AdventureCoins package is seriously the sweetest deal ever. 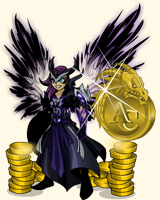 So on Friday, make sure you purchase our new 5,000 AdventureCoins package so you can become the most feared Shadow Sorcerer of all! 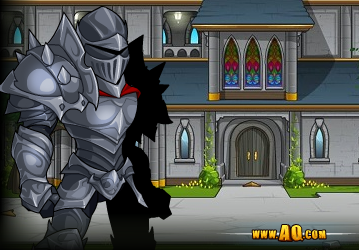 More Quibble Rares and the grand reopening of Swordhaven Castle is set to launch Friday at sundown! 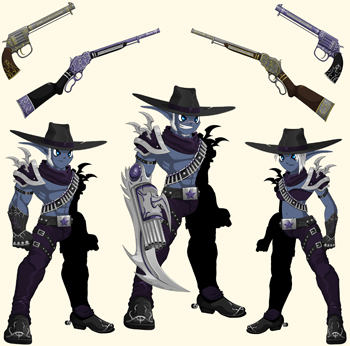 Quibble knows you need the best gear to defeat the next Lord of Chaos, so he specially ordered brand new weapons, armors, and helms just for you and your friends. 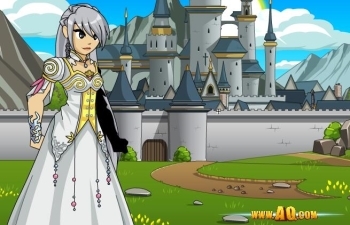 With Quibble’s items at your side (and in your grasp), head to Swordhaven to celebrate the kingdom’s brand new redesign! But with Chaos ready to crash the celebration, it will be up to you to save the day. The celebrations will continue outside of Swordhaven, too. A special first-of-its-kind Pinjat Pinang party will ensue Friday evening. 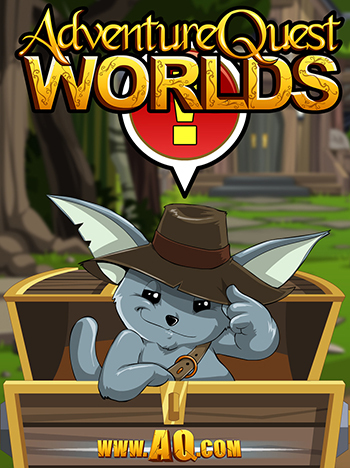 This unique tradition is one of the oldest in Indonesian history and will soon go down in AQWorlds history as well! 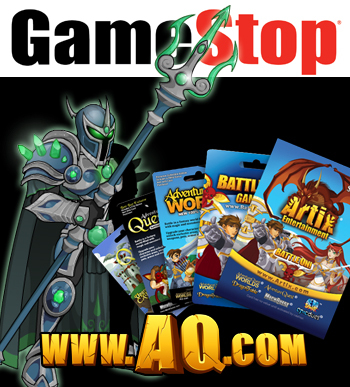 Quibble will be in the town of Battleon this weekend, selling most of his gear for AdventureCoins! He never stays in one place long and we have no idea when (or if) he will be back. Remember, he is not selling rares, he is selling items you are not even supposed to have**! Honor Alteon, Battlemage and King of Swordhaven! If you've seen Quibble appear before, you know that his arrival heralds the beginning of the next Chaos Saga... soTHIS time around, he's bringing gear from crafted in honor of your favorite people: King Alteon and Empress Gravelyn! 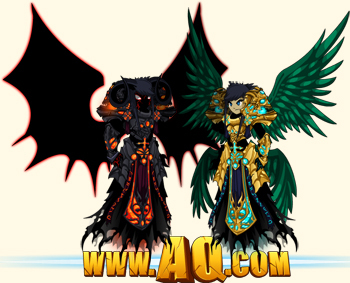 The Spellsword of Good, Evil, and Chaos sets! With these blades, you will save the world! 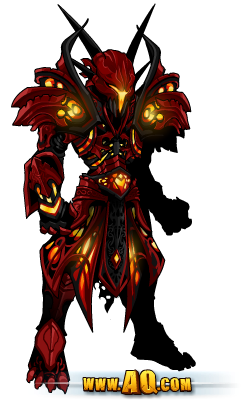 Followers of Evil: the Shadowfall Defender set awaits! The Chaos War Returns Tomorrow! 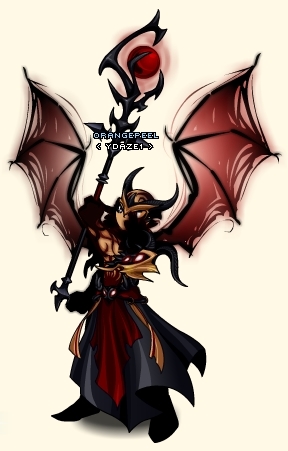 Drakath has been patient long enough; starting tomorrow night, the Chaos War returns to Lore! Because we had to remove the war unexpectedly****, the war rares shop also left before we'd promised. 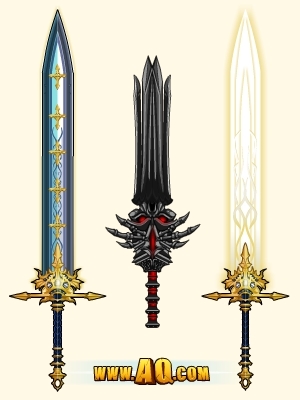 The Chaos War rares shop will leave in two weeks, but the Chaorrupter Blade (which does more damage to Chaos monsters) will NOT go rare! Sir Vant asks you to hurry to Swordhaven! ***** Note: you will need to have completed ALL of the previous Chaos zones to begin the Swordhaven Chaos Saga. I am so glad our paths crossed! You do not know me, though you may think you remember who I am. We have never met, but I know you well. I know ALL of you well! And that is why I have traveled so far. I did not think to leave my grove, but when the letter came from Falconreach, I knew I had to travel FAST. You never know when the whispers will come. The knowledge you need is inside you. The whispers of your past are only heard NOW. Whispers are floating through the air. Chaos - or something claiming to BE Chaos - has begun talking directly to the Heroes of Lore. Bells are ringing over Swordhaven. Bells no one can hear. Ringing ringing... ringing in the change to come. They began in Swordhaven, but heroes across Lore have begun hearing them. They spread rumors of Chaos, of fear, of failure. Dreams and blades and chicken eggs. Soon you will know how they feel. Lady Celestia has always watched over Lore's heroes. This has never happened before, and it is NOT a good sign. The stronger the Champion of Chaos grows, the more danger we are all in. I MUST see King Alteon before it is too late! If you can hear this you have been targeted by Chaos. Your destiny is known. Though I know the royal family is busy preparing for the coming ceremony, they WILL need to listen to me. The danger is only growing greater, and I fear that no dragon magic - or Dragon's magic - will be enough to save us unless we begin preparing NOW! Chaos is like a cat. When you understand why you will be one step closer to conquering me. I will leave you with one final thought... for now. Beware the doomsayers and nightmare children. Prophecies are only dangerous when they come true. DO NOT listen to the whispers!